Kateryna Pryshchepa studied philosophy in University of Kyiv-Mohyla Academy (Ukraine) and worked as a journalist in Ukraine covering among other things Ukraine-EU relations. In 2011 she graduated from the College of Europe (European Interdisciplinary Studies). Kateryna is currently enrolled in a PhD Program in Graduate School for Social Research (Institute of Philosophy and Sociology of the Polish Academy of Sciences). 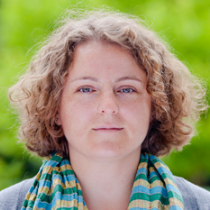 Her research focuses on the study of post-Soviet elites and EU eastern policies.